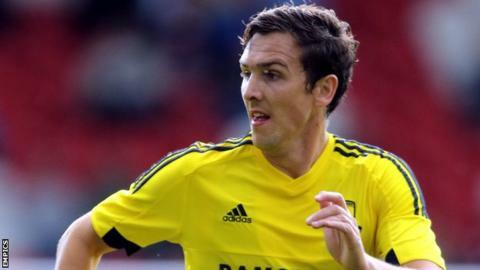 Middlesbrough's Championship play-off final disappointment last season is being used as a lesson for the squad to learn by head coach Aitor Karanka, says winger Stewart Downing. The Teessiders missed out on automatic promotion to the Premier League last season, before going on to lose to Norwich City at Wembley. Downing, 31, arrived in July as part of Boro's promotion rebuilding plans. "The manager stressed we can't dwell on it, it's gone," Downing told BBC Tees. "He's used it as a tool for us to do even better, we don't want to get to the play-offs again. "The players remember that heartache so we need to put that to bed early and get promoted as quickly as we can." Boro have achieved promising results in pre-season with a draw at Doncaster followed by confident wins at Barnsley and a home victory against Getafe. Preston provide the opposition at Deepdale on the opening weekend of the campaign. "The only focus is getting off to a good start," added Downing. "The manager felt we were playing catch up a little bit for the season, which obviously cost us in the end. "It's a big season for us this year, everyone's excited by it, we're expected to do very well and I think we will."